This app works with our existing PC-based Cosmos multi-cam system that include the optional network-remote capabilities. 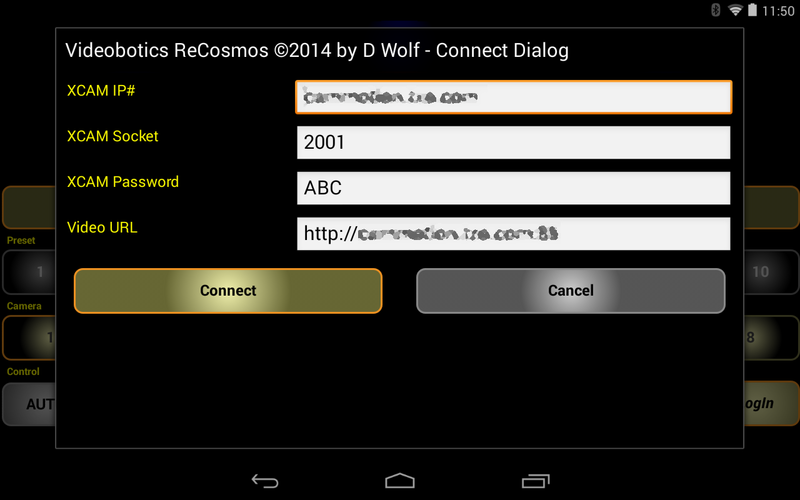 ReCosmos can function an alternate control interface from anywhere on the planet for your Cosmos system with optional network-remote capabilities. 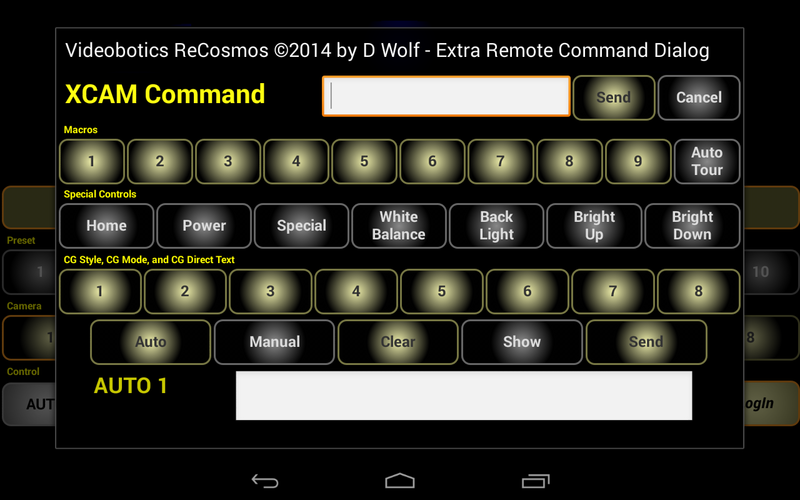 You can use ReCosmos with most modern Android tablets and phones - it becomes your Cosmos control surface. Or you can use this remote control panel anywhere on the internet or your own LAN in place of our existing ReXCAM network-remote PC-based application that is included with all network-option Cosmos packages. You can now use the convenient touchpad tablet to control your whole multi-cam system from wherever you are - in the same room or around the globe. The app is available direct from Videobotics for $99 for your own tablet or phone or you can purchase a pre-installed Android tablet here with the ReCosmos app already installed ($349) and ready to go. Please CALL. NEW! CamRobot Android-only Apps to control Sony PTZ cameras DIRECTLY from your phone or tablet. 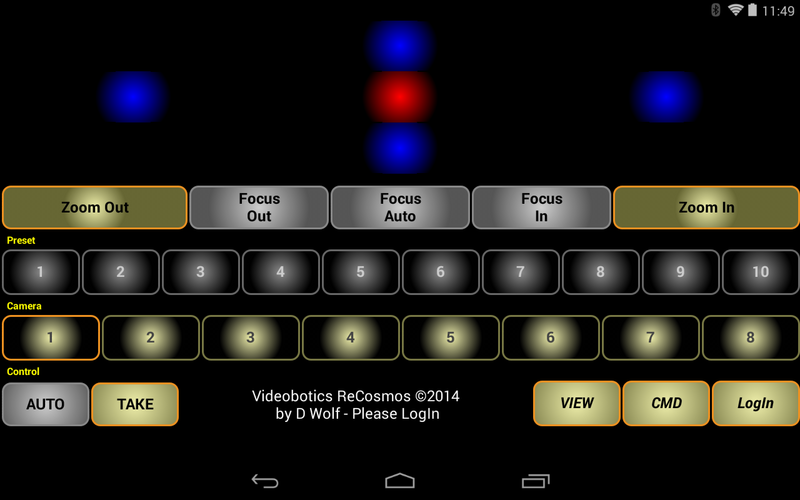 Thank You for visiting the Videobotics Android Tablet Touchpad Controller Page. 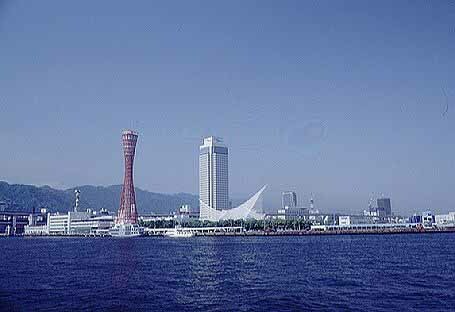 Come Back Soon!